Venho através deste comunicado informar minha saída da banda Headhunter D.C., fundada por mim em maio de 1987. Foi realmente muito difícil para mim tomar tal decisão, mas chega uma hora que não dá mais como gerenciar tantas coisas em nossas vidas. Eu moro longe da capital onde a banda reside, trabalho como professor, municipal e estadual, em tempo integral, e não tenho mais como equacionar o meu trabalho com as atividades da banda. Sempre vou estar presente ao lado do grande Headhunter D.C. em sua imaculada e árdua trajetória, assim como sempre estive ao longo desses 30 anos de carreira, sem NUNCA, JAMAIS ter se rendido aos modismos e demais tendências que, infelizmente, têm infestado o Heavy Metal ao longo dos anos. 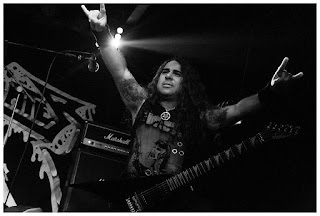 O Headhunter D.C., nestes 30 anos de sólida carreira, sempre lutou em prol do verdadeiro e puro Death Metal, e assim continuará a lutar até o fim. Espero então, assim como vocês, fãs do Headhunter D.C., que a banda viva mais 30 anos para continuar disseminando o Metal da Morte nos quatro cantos da “terra e do inferno” de forma verdadeira e honesta, como sempre o fez. Enfim, muito obrigado a todos que têm acompanhado o Headhunter Death Cult ao longo destas três décadas ininterruptas de existência. Continuem apoiando o verdadeiro Death Metal Underground Nacional. 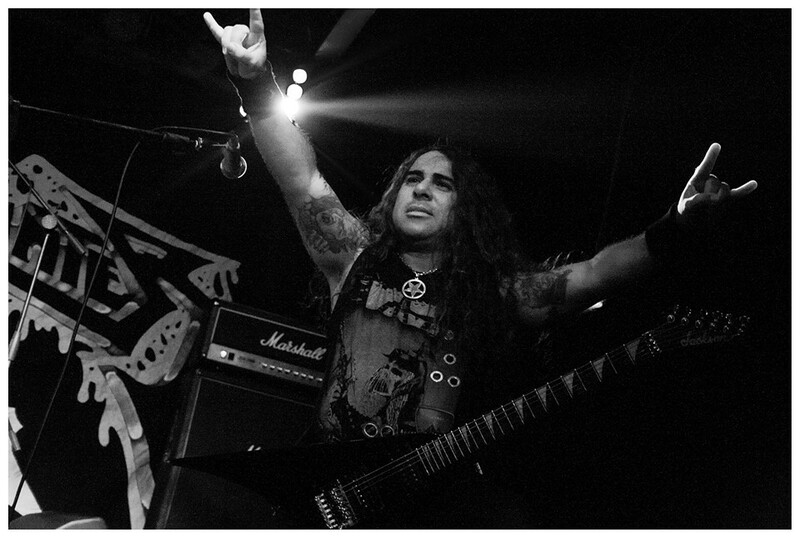 Death Metal Rules Forever... Headhunter D.C. Rules Forever… 666… !!! Lima, Perú June the 3rd, 2017. I came across this statement to inform all of you that I’m leaving the band Headhunter D.C., founded by me in May 1987. It was really very hard for me to take such a decision, but there comes a time when it is no longer possible to manage so many things in our lives. I live far from the capital where the band lives in, work as a teacher, municipal and state, in full time, and I've been unable, since a long time now, to conciliate my work with all the band’s activities. I will always be present alongside the great Headhunter D.C. in its immaculate and arduous trajectory as I’ve always done over these 30 years of career, a band that NEVER, EVER gave up to the fashions and further trends that have unfortunately infested the Heavy Metal scene along the years. Headhunter D.C., in these 30 years of solid career, has always fought for the true and pure Death Metal and will continue to fight until the end. I hope, just like you, Headhunter D.C. fans, that the band live another 30 years to keep on spreading Death Metal in its purest form through the four corners of "earth and hell" truthfully and honestly, as it has always done. Anyway, thank you very much to all who have been following Headhunter Death Cult throughout these three uninterrupted decades of existence. Keep on supporting the true Death Metal Underground! Death Metal Rules Forever... Headhunter D.C. Rules Forever... 666... !! !